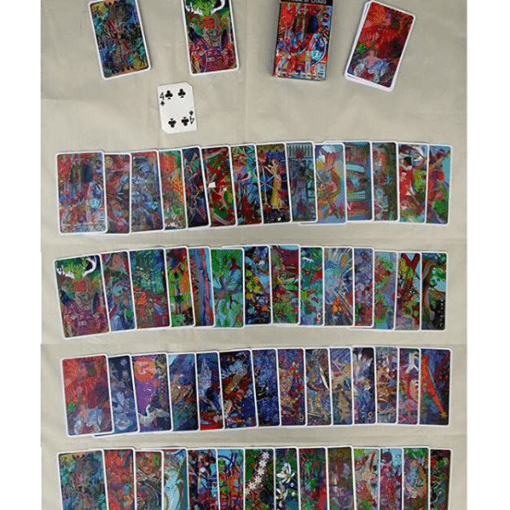 Collector’s deck of 56 cards. Hearts are hearts, clubs are trees, diamonds are stars, and spades are bones/fossils — four suits, two wildcards, and two jokers. Each brilliantly printed varnished card is 3.25 x 5.25 inches and stored in a decorative heavy-coated paper box. 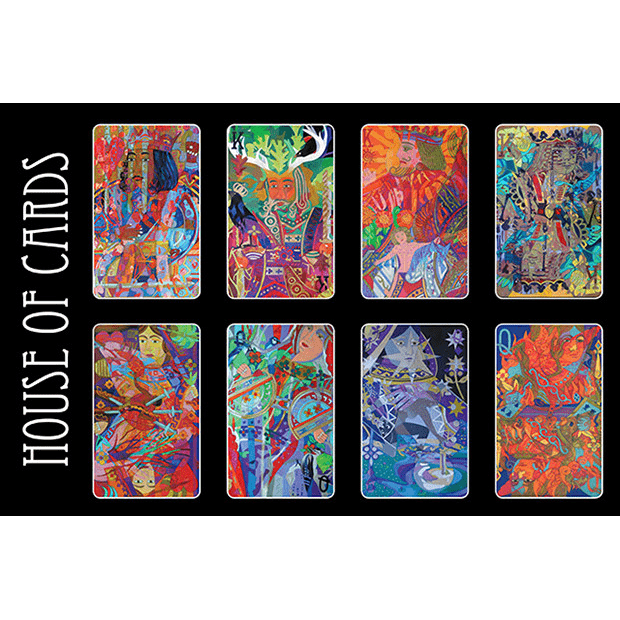 $10 from the sale of every deck goes to support organizations that help people living with sickle cell.